Pharmatest offers specialised clinically predictive preclinical research services for the pharmaceutical industry. Pharmatest provides full-service research solutions for oncology and skeletal diseases. The research models are designed to emphasise clinical relevance and predictivity. Pharmatest can establish the proof-of-efficacy of drug candidates using cell culture assays and animal models. The company has designed optimal study set-ups to test new drug candidates according to regulations of the US Food and Drug Administration (FDA) and the European Medicines Agency (EMA). It also offers specially designed studies for testing biosimilars and functional foods that require less extensive requirements. The company specialises in full-service efficacy testing of new cancer drug candidates. 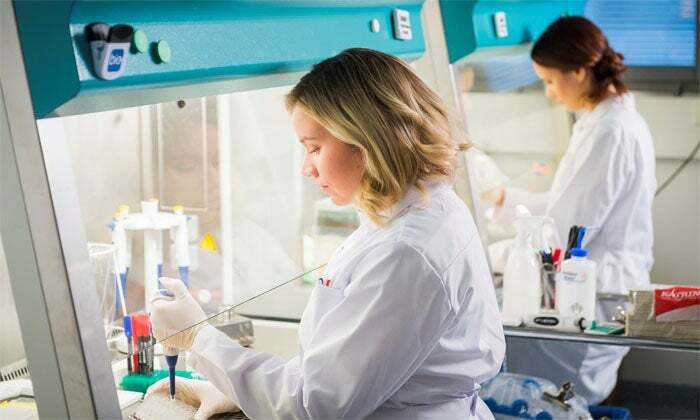 In vitro studies demonstrate what cancer cell lines are affected by test compounds and efficacy is confirmed in vivo in the company’s animal models using the same cell lines. Pharmatest’s in vitro cancer cell assays, including cell viability and cell invasion, are rapid and reliable screening tools for cancer drug discovery. They are available in automated high-throughput screening (HTS) platforms. Cancer cell invasion is measured using the BD BioCoat FluoroBlok invasion system. Cell migration capacity through the Matrigel layer is determined, while cell invasion is quantified by post-labelling cancer cells with a fluorescent dye. Pharmatest specialises in clinically predictive orthotopic and metastasis models of breast, prostate and pancreatic cancer, as well as multiple myeloma. They provide the proper tissue microenvironment, which is crucial since it is known to affect tumour growth, metastasis and drug resistance. The clinical relevance and predictivity is relevantly increased over traditionally used subcutaneous models that lack the proper microenvironment. Orthotopic breast cancer models are available with human estrogen receptor positive MCF-7 cell line, triple negative human MDA-MB-231(SA) or mouse 4T1 cell lines. Tumour growth is monitored by measuring dimensions of the tumour at intervals. Pharmatest’s intracardiac breast cancer bone metastasis models are predictive models of cancer-induced bone disease with radiography and dynamic fluorescence imaging to reveal illness progression. The company provides orthotopic prostate cancer models with the androgen receptor positive, and PSA producing LNCaP cell line. Models are also available with the androgen receptor negative PC-3 cell line that develops metastases to prostate-draining lymph nodes, in addition to intracardiac and intratibial models of prostate cancer bone metastasis, where radiography reveals the progression of bone metastases. Pharmatest offers a mouse model of multiple myeloma that mirrors clinical conditions of myeloma bone disease in patients. The model responds to treatment and is ideal for testing efficacy of drug compounds against multiple myeloma, specifically active myeloma, which is characterised by osteolytic lesions. It involves inoculation of mouse multiple myeloma cells into the tail vein of immunocompetent mice. Pharmatest also supplies an orthotopic pancreatic cancer model, which is suitable for testing efficacy of drug compounds against primary tumour growth and responds to treatment. The model involves a surgical procedure where human pancreatic adenocarcinoma cells are inoculated into the pancreas of immunodeficient mice. Pharmatest’s clinically predictive skeletal disease models include bone cell culture assays and animal models of osteoporosis and osteoarthritis, which can also be used for bone safety testing. Pharmatest’s in vitro bone cell assays have been designed for pharmacodynamic testing of new therapeutic agents against osteoporosis and cancer-induced bone disease before entering animal studies. Separate assays are available for testing effects on differentiation and activity of bone forming osteoblasts and bone resorbing osteoclasts. In vitro osteoblast assays involve culturing mesenchymal progenitor cells that are differentiated into mature osteoblasts. In vitro osteoclast assays involve culturing bone marrow derived osteoclast precursor cells that are differentiated into mature bone-resorbing osteoclasts. According to FDA and EMA regulations, all new therapies for postmenopausal osteoporosis should be tested in the rat OVX model. CRO Pharmatest Services has announced two new services at the ASBMR annual meeting in Montreal, Canada. Metastatic and primary tumours are known to respond differently to chemotherapy. Therefore, when establishing drug efficacy it is important not to rely only on experiments in primary tumour models but to also study the test compound in metastasis models. 4T1 is a triple-negative mouse breast cancer cell line. Pharmatest utilises a 4T1 cell line with stable expression of green fluorescent protein (GFP) enabling easy and efficient detection of whole-body tumour burden. After nine months’ experience, Pharmatest has given high credit to the performance of Bruker’s SkyScan 1276 High-Resolution and Fast In Vivo Desktop Micro-Computed Tomography (micro-CT), which was installed at its premises in February. Having successfully worked with radioactive compounds for almost a decade, Pharmatest has strong expertise in testing efficacy of radiotherapies in preclinical oncology models, which was demonstrated in a recent scientific publication in collaboration with Bayer. Pharmatest has announced an upcoming seminar at the Boston Marriott hotel in Copley Place. Pharmatest Services LLC is newly established US based contract research organization (CRO) operating in Massachusetts. It offers preclinical efficacy services in oncology and skeletal diseases. The company is a fully owned subsidiary of Pharmatest Services Ltd based in Finland. Pharmatest Services has announced it has collaborated with Taconic Biosciences to develop a novel humanised mouse model of tumour growth in bone that can be used for testing immunotherapies. Pharmatest Services has announced it will attend the annual meeting of American Association for Cancer Research (AACR) in Washington, US. Pharmatest Services has formed a partnership with California-based organisations Biocom and Science Exchange. Pharmatest Services has purchased two new devices for bone imaging, the SkyScan 1276 high-resolution desktop in vivo Micro-computed tomography (mCT) system of Bruker and the Faxitron UltraFocus dual-energy X-ray absorptiometry (DXA) digital radiography system of DatecMedico. As well as opening new offices of its own in San Diego and Concord, Pharmatest Services has signed a service agreement with Regus to use its wide global network of offices and business lounges. Pharmatest Services is to exhibit at the forthcoming Annual Meeting of American Association for Cancer Research (AACR) in New Orleans, US. Pharmatest has finalised the list of events the company will attend during 2016.